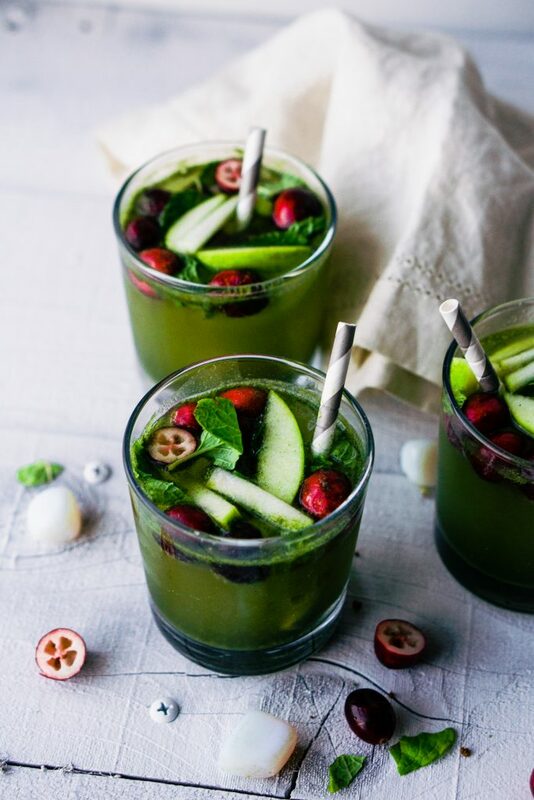 Green Apple, Ginger & Mint Holiday Mocktail is a perfect recipe with the holidays quite literally right around the corner. Since college, I’ve never been a big drinker, but I’ve always loved a good mocktail to enjoy. 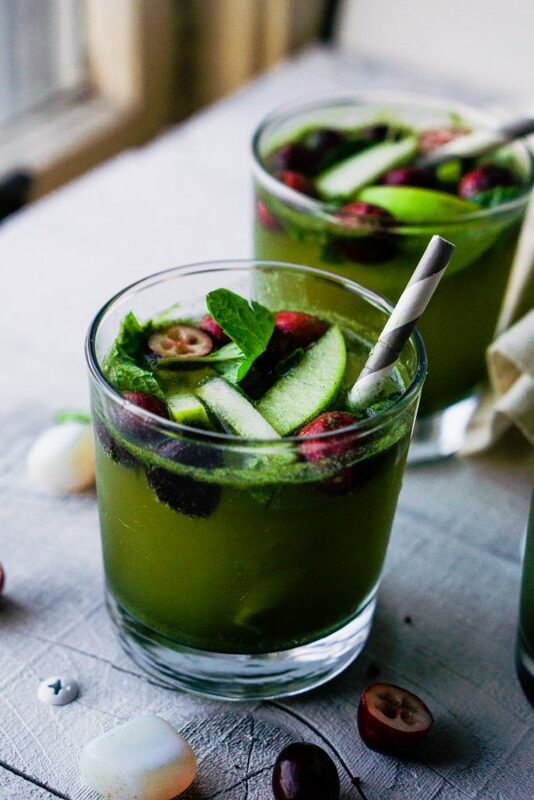 While dreaming up a mocktail recipe, I love anything bubbling, refreshing and still filled with nutrients. This is where HumanN HeartGreens Green Apple comes into play. It’s an easy superfood powder, with a delicious taste to add to the mix. The HumanN HeartGreens Green Apple powder is very easy to use, just scoop it out and pair it with ginger, and mint. If you are like me I also love to add cranberries in for a pretty contrast in color and taste. 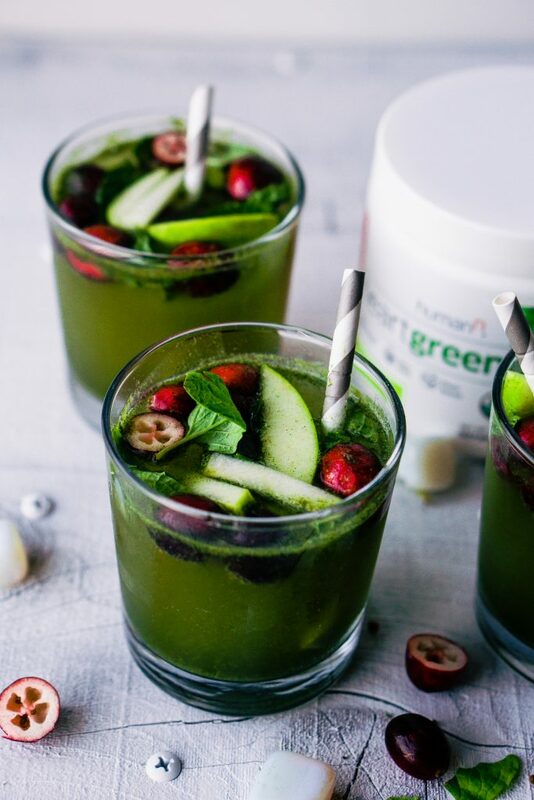 One of my favorite times to use HumanN HeartGreens Green Apple is while traveling to friends and families houses as it is so easy to pour into a glass of water in the morning or a smoothie. For this recipe, I added in whole, fresh ingredients too but you could always just mix the powder straight into sparkling water. For me, it is sweet enough to taste. 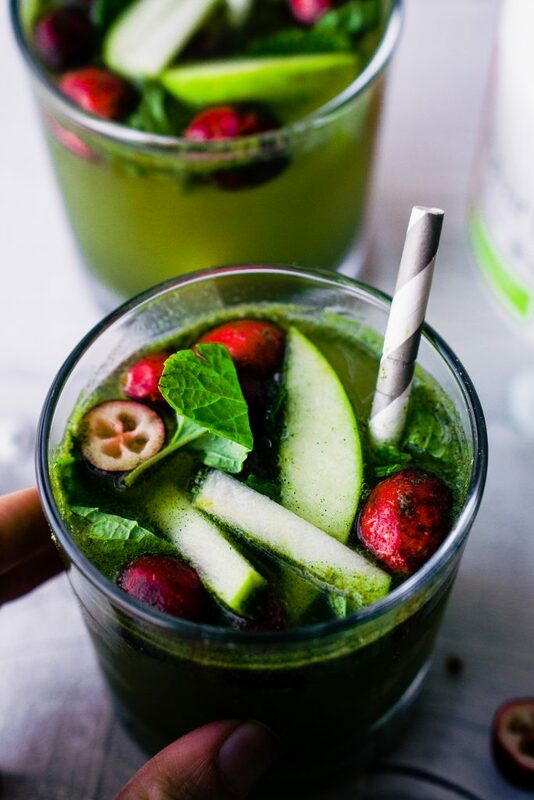 Pour 1 scoop of HeartGreens into each of your cocktail glasses. Slowly pour lemon sparkling water over it. Gently mix with a spoon. Place in chopped mint, cranberries & green apples.